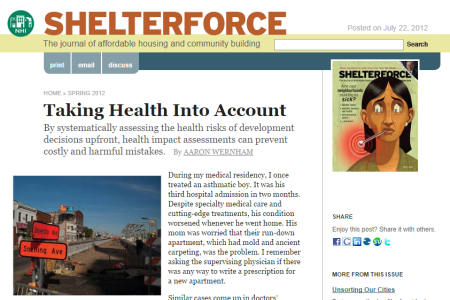 This literature review summarizes what we currently know from research about the effects of stable and affordable housing. 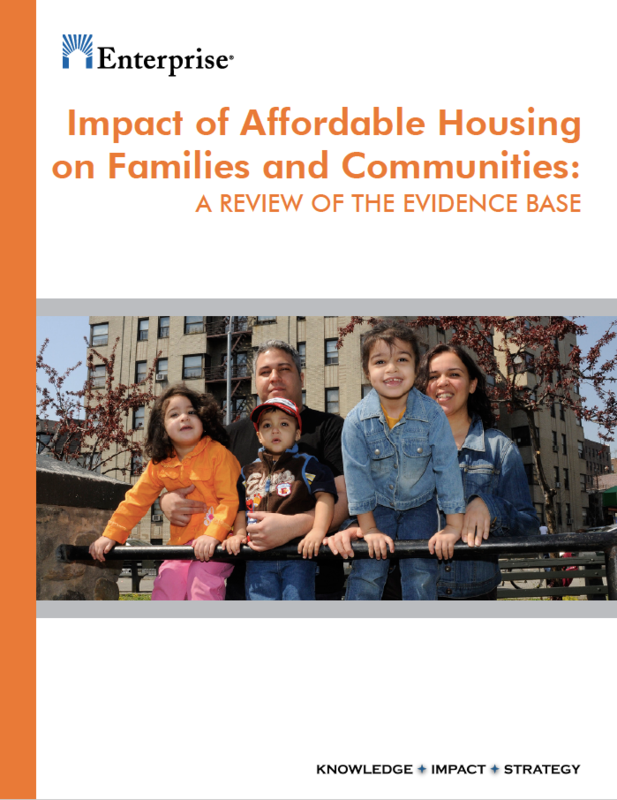 The research is condensed into defensible points – backed by solid supporting evidence – to serve as a resource for understanding and communicating the many impacts of affordable housing. 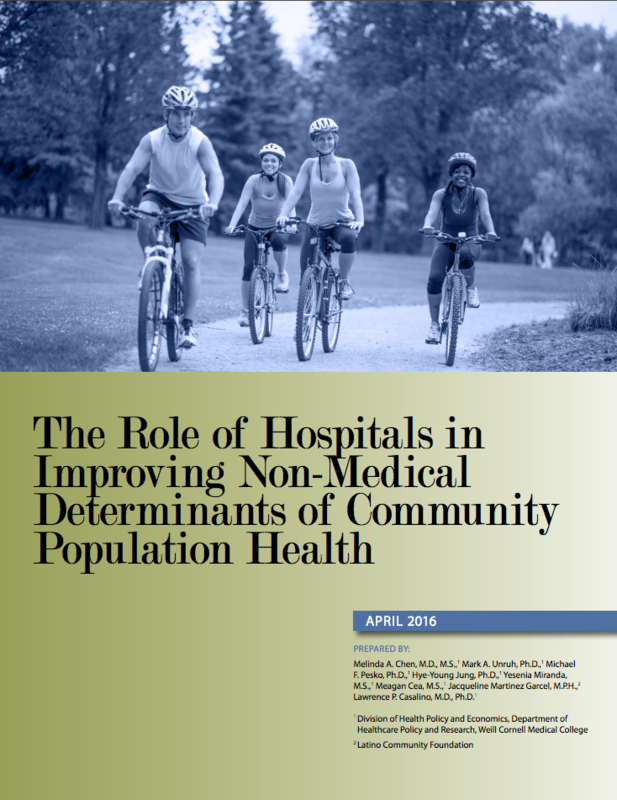 This report by the New York State Health Foundation outlines which hospitals in New York State and nationally are addressing non-medical determinants of community population health, as well as facilitators of and barriers to this work. 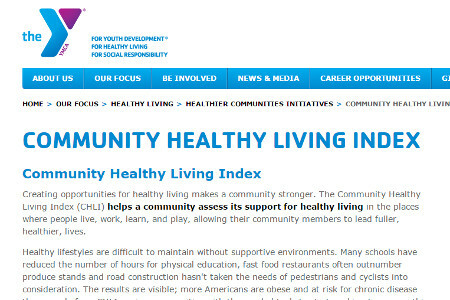 The Community Healthy Living Index (CHLI), developed by the YMCA of the USA, helps a community assess its support for healthy living in the places where people live, work, learn, and play, allowing their community members to lead fuller, healthier, lives. 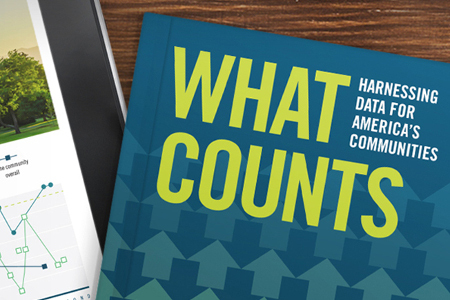 A book from the Federal Reserve Bank of San Francisco and the Urban Institute outlines opportunities and challenges for the strategic use of data to build healthier, stronger communities. 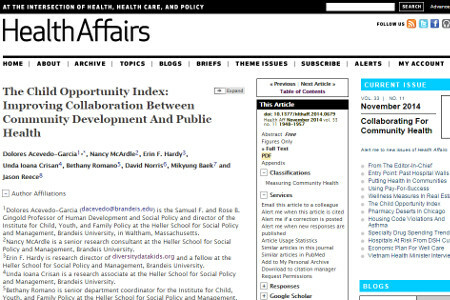 Examining racial/ethnic inequity in the children across levels of neighborhood opportunity. 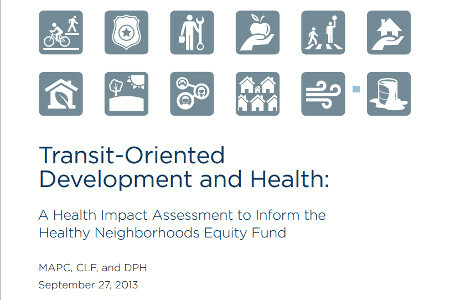 This Health Impact Assessment examines the potential health impacts that could result from investments made by the Healthy Neighborhoods Equity Fund. 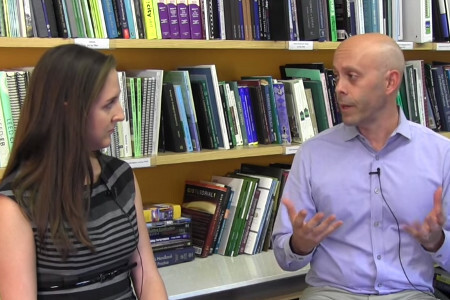 Matt Trowbridge, Senior Research Fellow at the US Green Building Council, discusses the importance of the drive to make healthy places investable. 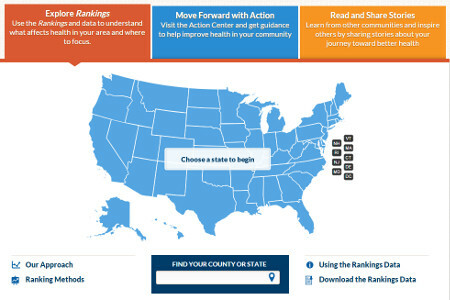 The annual County Health Rankings measure vital health factors, including high school graduation rates, obesity, smoking, unemployment, access to healthy foods, the quality of air and water, income, and teen births in nearly every county in America. How Can Health Impact Assessments Lead to Better Policy Decisions? 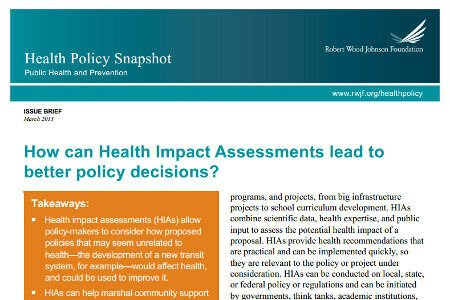 Health impact assessments (HIAs) allow policy-makers to consider how proposed policies that may seem unrelated to health would affect health, and could be used to improve it. 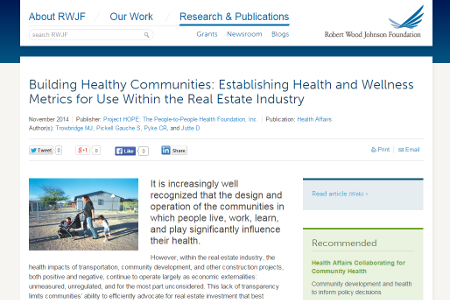 We know that the design and operation of our communities significantly influence our health. 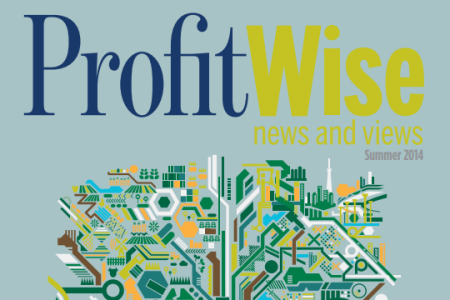 But the health impacts of real estate development continue to operate largely as economic externalities: unmeasured, unregulated, and largely unconsidered. The Network writes in Health Affairs on how measurement can help community development and health practitioners achieve shared goals. 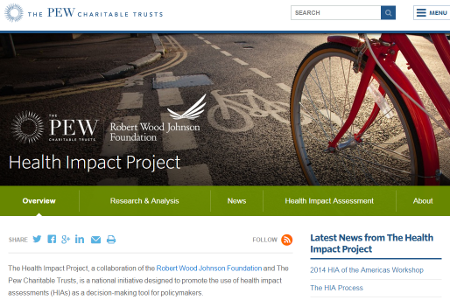 The Health Impact Project is a national initiative designed to promote the use of health impact assessments (HIAs) as a decision-making tool for policymakers. 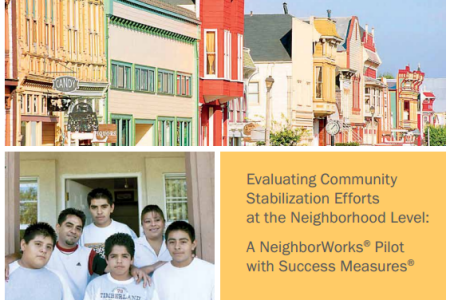 This report summarizes the development and piloting of the Success Measures Community Stabilization Evaluation Framework, which organizations and local governments can use to measure how their efforts are changing factors essential to strong, vibrant neighborhoods. By systematically assessing the health risks of development decisions upfront, health impact assessments can prevent costly and harmful mistakes. Authors used community level data in Chicago to explore local socioeconomic conditions and corresponding health outcomes.